View the most photographed Rock in New Zealand, Split Apple Rock, New Zealand Fur Seals, golden sands and the turquoise waters of Anchorage, Bark Bay, Tonga Quarry, Awaroa and Totaranui Beach before returning to Kaiteriteri. Enjoy a comprehensive commentary from our guides and watch the comings and goings of the park. 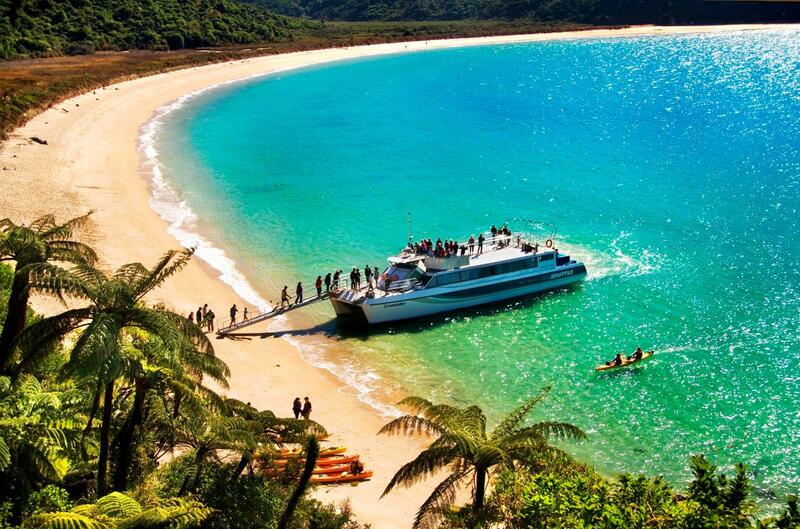 Suitability: This is a great 3 – 4 hour cruise for all ages where you get to see and experience the majority of the Abel Tasman National Park with good opportunities for wildlife encounters.